Get everything you need with this quality Yellowstuff brake pad and rotor kit which includes pads, rotors and caliper lube. 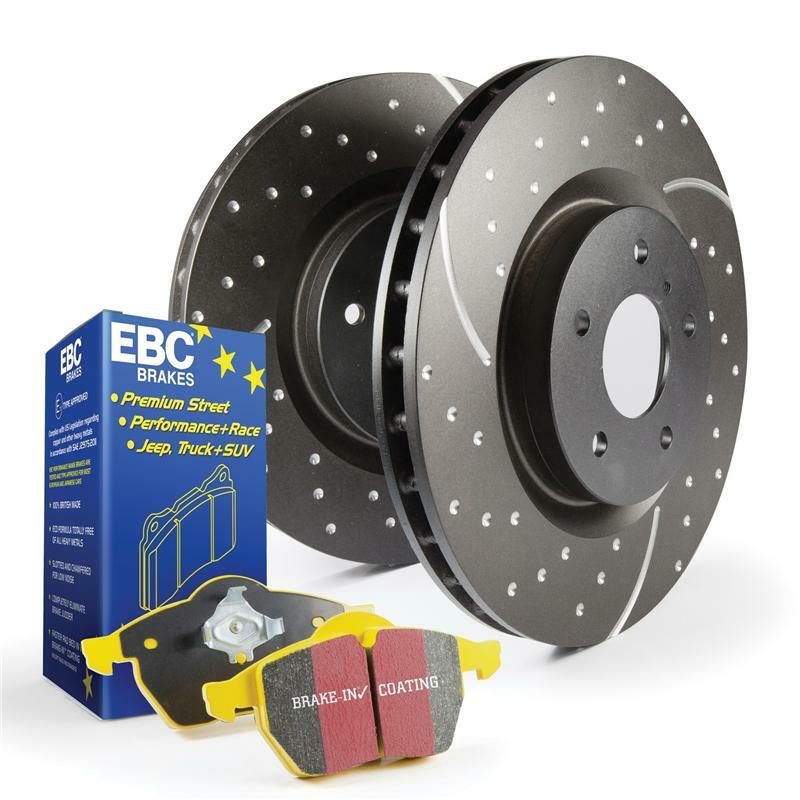 EBC flagship GG rated Yellowstuff high friction pads for maximum brake effect fully shimmed chamfered and slotted finished with patented EBC Brake™ in coating for fast pad seating. Matched with EBC GD series wide aperture and spot drilled vented sport rotors for coolest brakes and fast dust, gas, dirt and debris removal, these kits update brakes on a wide range of vehicles from trucks to muscle cars and high HP sport sedans/compacts. If maximum brakes for street use is what you need this is THE kit to choose.